This data set describes rainfall distribution statistics over the African continent, including Madagascar. The rainfall estimates are based on data from the NASA Tropical Rainfall Measuring Mission (TRMM) measured between 1998 and 2012. Rainfall patterns were quantified using a gamma-based function and two Markov chain parameters with the aim to summarize the rainfall pattern to a small number of parameters and processes. These summary statistics are suitable for temporal downscaling.These data provide gridded (0.25 x 0.25-degree) estimates of 14-year mean monthly rainfall total amount (mm), frequency (count), intensity (mm/hr), and duration (hrs) of rainfall, as well as Markov chain and gamma-distribution parameters for use in temporal downscaling. The data are presented as a series of 12 netCDF (*.nc) files. Archived by National Aeronautics and Space Administration, U.S. Government, ORNL_DAAC. https://doi.org/10.3334/ORNLDAAC/1263. Kaptue, A.T., N.P. Hanan, L. Prihodko, and J.A. Ramirez. 2015. 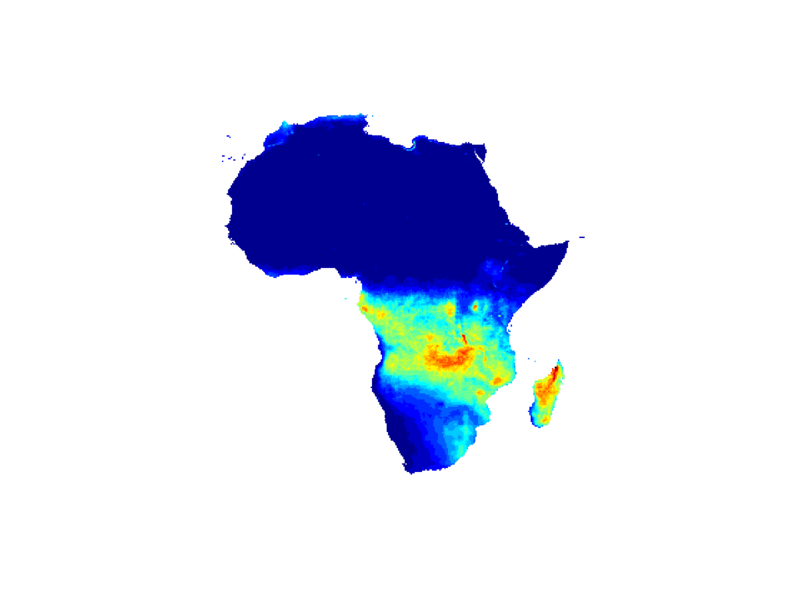 Spatio-temporal Characteristics of Rainfall in Africa, 0.25 degrees, from 1998-2012. ORNL DAAC, Oak Ridge, Tennessee, USA. http://dx.doi.org/10.3334/ORNLDAAC/1263.